Bragi Dash owners can look forward to some pretty nifty new features courtesy of a major software that's rolling out today. BOS3 is the company's fourth major OS update and among the most notable new features is new iTranslate integration, which means you'll be able to enjoy real-time language translation in around 40 different languages. Take that, Pilot. To get it up and running you'll need to download the iTranslate Pro app from the App Store first. Once that's done you can either hold out your smartphone letting the other person speak into and have it translated to the earbuds. Alternatively, if you both have the earbuds then you can do it between them (via the smartphone) without having to actually pull your phone out. Sadly this is only for iOS users right now, but Android support is coming when iTranslate adds it down the road. But there's more. A new virtual 4D menu lets you use head gestures to interact with the Dash when you're hands are occupied and Bragi's Touch UI has now been simplified, which should make swiping and tapping to select features much easier. There's also improvement in the sound department including clearer audio in transparency mode. On the fitness front, activity sessions are now stored and transferred to the Bragi companion app automatically and there's now auto tracking too, which means the Dash will recognise when you're running, cycling or swimming to start tracking without touching a button. The OS 3 update will also be preinstalled on the new Dash Pro tailored by Starkey and The Dash Pro, which the company has also officially unveiled as the successor to the company's first hearable - or in-ear computer as Bragi prefers to refer to it as. Bragi has stuck to its approach of adding new features via software updates and this is arguably the biggest so far. 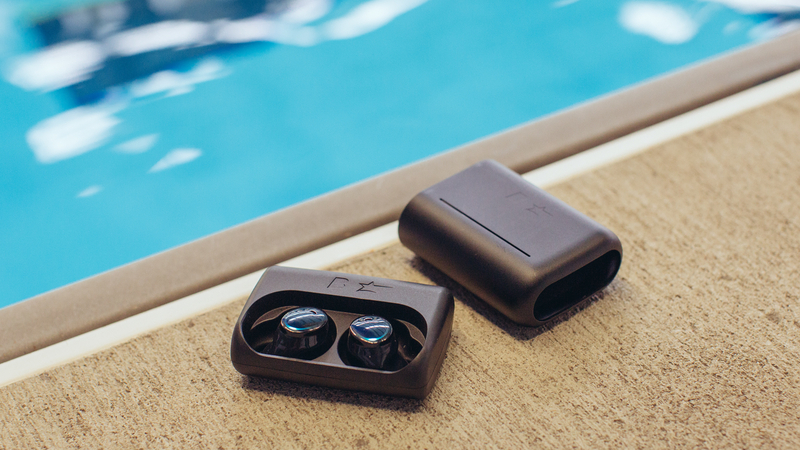 Especially the addition of real-time translation when other hearables like the Waverly Labs Pilot and MyManu's Clik smart earbuds are still yet to roll out their devices.